Dawkes Music & Windcraft Ltd are a globally recognised UK based Music Industry company that have expert staff who specialise in products, performance, teaching and repairing in the brass and woodwind sector. With the largest square footage of display in the UK we hold our unique stock of spare parts, instruments, accessories and repair materials for the brass and woodwind retail and wholesale market. Our purpose is to create and inspire musicians no matter their age or ability, whilst supporting them on their musical journey. Dawkes Music are now a Feefo Gold Trusted Merchant. This means that 95% of customers have given Dawkes Music a ranking of "Excellent" or "Good" across a four point scale. Not many retailers achieve such a high levels of customer service and we would like to thank all our customers who left reviews, good or bad; we really appreciate them all. Why shop at Dawkes Music? The staff are dedicated players with a real passion for Music. Many of our staff play in local bands and receive training so they understand the different Instruments better than anyone. Our Workshop is the foundation of our business. We currently employ six full time Repairers; more repairers than any other Workshop in the UK. We work on both Woodwind and Brass Instruments and tackle anything from small adjustments to major Overhauls. All repair work is guaranteed for 3 months unless otherwise stated. Our store holds large numbers of Instruments. When you're buying an Instrument, it's important that you've got enough choice to make the right decision. 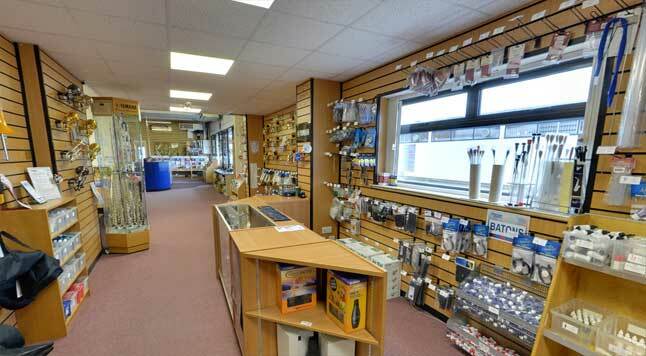 Our 'superstore' is packed with Instruments and Accessories. We offer a 14-day approval on Instrument purchases. We want you and your teacher to be happy with your Instrument, so we give you 14 days to try it out. No pressure, friendly help throughout the Sales process. All instruments are checked rigorously in our workshop before being sent out. Instruments don't always blow straight out the box and need to be 'set-up'. During this process, transit corks are removed, and the instrument is inspected for any dents, chips or scratches. Work is carried out by our technicians to ensure that every instrument assembles correctly. After the instrument has been examined and setup, it is blown and carefully checked for tuning, free blowing and fuzzy notes. This is especially important with student instruments as most professionals can play a badly set up instrument, a beginner cannot. Jack Dawkes, grandfather of the current owners, founded Dawkes Music & Windcraft Ltd in 1966. Jack regarded this as the third phase in his musical career. The first had been from turning professional when demobbed in 1946. He made the transition from a regional sax and clarinet musician, establishing himself in the London scene. The second had been from stepping up to a bigger league in playing, arranging, recording and broadcasting - even forming one of the earliest Student Orchestras in Britain. Dawkes Music & Windcraft Ltd, the third phase of Jack's musical career, began when his earlier war service in the artillery eventually caused his hearing to deteriorate, bringing his professional playing to an end. Wishing to remain involved with music, he took the opportunity to learn the art of repairing instruments from renowned woodwind genius Ted Planas. Jack established a workshop in his garage and soon built up a fine reputation for repair work amongst his circle of musician friends. Gradually word of Jack's work reached the Royal Air Force Central band and orders to refurbish their instruments began to arrive. Supplies of repair materials such as pads, spare parts, springs and cork were a constant problem. Jack took the unusual step for a repairer by travelling to the manufacturers in Europe to arrange direct supplies. However delivery delays continued so, unusually again, he committed to ordering far more than needed in order to provide an efficient repair time for his customers. The additional stock and Jack's growing expertise meant that he was soon in a position to act as a knowledgeable supplier to other repairers. Since then Dawkes Music & Windcraft Ltd has based all of its business and core values around the highly skilled area of woodwind and brass repairs. Now in its 49th year of successful business and continuous growth, with the largest team of repairers in the UK and still specialising in the woodwind and brass sector of the music industry, Windcraft is the largest supplier of spare parts and repair materials for wind instruments in Europe. The company also distribute several exclusive accessory and instrument lines to customers worldwide. Today, Dawkes Music & Windcraft Ltd is led by the third generation of the Dawkes family, Directors and brothers, Jonathan and David Dawkes. In 2007 they took over the reins from their father Lindsay (Jack's son) who drove the growth of the firm from the 1980s. Jonathan and David have worked in all areas of the business and have a combined experience themselves of more than 47 years in the music industry.